In Small Fry, Lisa Brennan-Jobs, daughter of the late Steve Jobs, gives readers a glimpse into what it’s like growing up in Silicon Valley with a complex, powerful, and often absent father. This memoir debuted September 4, and it has already sparked lively discussions about her portrayal of the Apple founder's aloofness or flat-out cruelty. Remember when James Frey shocked Oprah and the world by labeling A Million Little Pieces as a work of nonfiction? Well, America’s most controversial author is back, and this time he made sure to use the correct genre. Katerina, released September 11, is a love story that alternates between Paris in 1992 and Los Angeles in 2018. Considering Frey was able to sell fiction as a memoir before, this latest work should be a compelling novel that reads like nonfiction. From the best-selling author of Big Little Lies and Truly Madly Guilty, this thriller is set to hit shelves on Sept. 18. After the success of Big Little Lies as an HBO series, a preemptive TV and movie deal has already been signed for this latest book by Moriarty. The online bookish community has been talking about the release of Well-Read Black Girl for months. 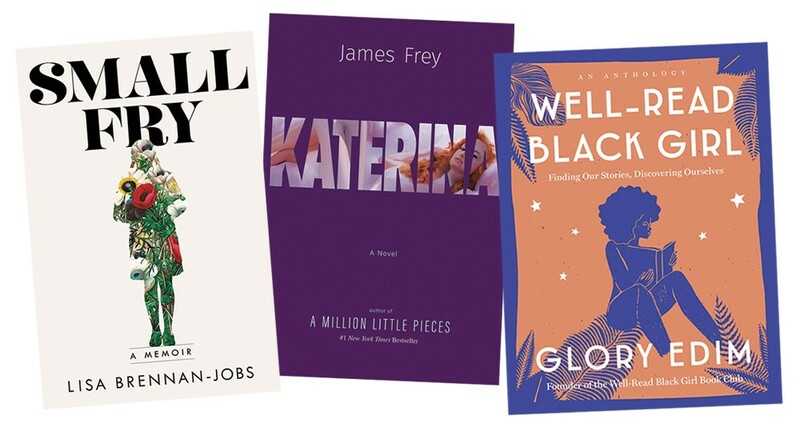 Created by Glory Elm, this book club-turned-literary festival branches down a new avenue with an anthology of essays by black women writers. Well-Read Black Girl: Finding Our Stories, Discovering Ourselves is out October 30, and it includes Jesmyn Ward (Sing, Unburied, Sing), Gabourey Sidibe (This Is Just My Face), Morgan Jerkins (This Will Be My Undoing), Tayari Jones (An American Marriage), and others. Tweet your fall reading list to us @pghcitypaper.